Fourteen-year-old Pio idolises his older brother in their small Romani community in Calabria. Challenges mount after his brother disappears. There are several contemporary filmmakers (e.g. Dardenne brothers, Hirokazu Kore-eda) who are inspired by the neorealist approach made famous by the Italian auteurs of the mid-20th century. However there are few who go the whole nine yards in emulating the techniques, and Jonas Carpignano is one of those exceptions. His two films, Mediterranea and The Ciambra, use non-professional performers, as in the films of Roberto Rossellini and Vittorio de Sica, the leading figures of the neo-realist movement. While the heroes of Clint Eastwood’s The 15:17 to Paris push our eyelids to the south, it’s the Amato family at the centre of The Ciambra who validate how non-professional actors can produce a truly immersive cinematic experience. Pio Amato is at the forefront as Pio, a teenager who wants to grow up fast and is kind of forced to after his older brother Cosimo (Damiano Amato) goes missing. Pio consumes alcohol and cigarettes and would forgo an invitation to play with his fellow youths if it meant he could hang out with the adults. One such grown-up is Ayiva (Koudous Seihon), a migrant from Burkina Faso and the protagonist of Mediterranea. Ayiva becomes a de facto big brother to Pio. What the two share in common is their lower status in Italian society, Ayiva as a person of colour and Pio as a member of the Romani community. Specifically, it’s the local Mafia, referred to as the “Italians,” whom they have to avoid. The central source of conflict is when Pio goes ahead and steals from them. Carpignano uses natural lighting and picks up every sound in the vicinity, really pulling you into Pio’s world. The line between documentary and fiction is blurred, just as the line is blurred between how much of the real life Pio is in the character Pio. The naturalism is riveting to behold, devoid of any superficiality or artificiality, which makes Carpignano’s harrowing film all the more powerful - it feels like you’re watching a slice of the life of a real family stricken by one child’s disappearance, and the other child’s injudicious behaviour, on top of the penurious circumstances that envelop their lives. The Italian-American filmmaker reaffirms us of his gift for verisimilitudinous storytelling in The Ciambra. There are no stylistic ocular flourishes in Carpignano’s style but careful blocking of the camera grants the opportunity for capturing some very expressive shots, such as one of a garage door shutting down and obscuring Pio from the frame after Ayiva shuts down the kid’s proposed idea for them to steal cars, and a beautiful final shot that culminates Pio’s journey. What must also be said about the visuals, though, is that cinemagoers are not advised to sit towards the front for this flick. The hand-held shooting combined with the predominance of close-ups is an inconvenience when viewing the movie close to the screen, and a deadly combination for those with the slightest motion sickness. 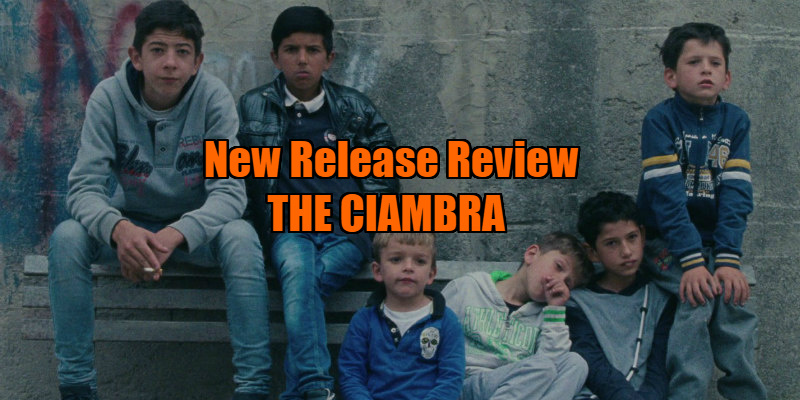 Despite that caveat, The Ciambra is true Italian neo-realism in the 21st century and is as fascinating and culturally potent as the associated films of the movement’s heyday. With the settings and characters of The Ciambra and Mediterranea intertwined, the exploration of Romani people’s lives and the plight of African migrants through an exciting new filmmaker’s lens is valuable and a breath of fresh air in contemporary cinema. While the Marvel Cinematic Universe has superheroes crossing over into each other’s movies for intergalactic adventures, Carpignano is building his own little universe featuring real people with vital stories, previously unrepresented in cinema. 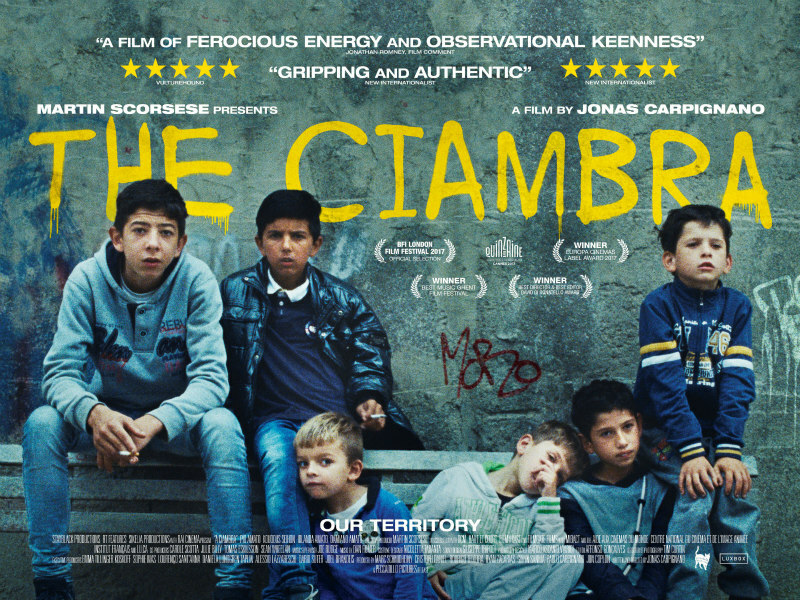 The Ciambra is in UK cinemas June 15th.